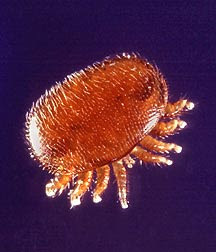 So, in early July I treated for varroa mites. Two hives had high counts, so I used Apiguard. For the other hives I just used a powdered sugar shake (you can see the video in an earlier post below). The two Apiguard hives had a HUGE mite drop. (Meaning, mites that had fallen through my screened bottom board, onto my sticky board). Interestingly, both hives are Carniolan bees. My other hives are either Italians, or Minnesota Hygenic (which is an Italian that's been bred specifically for its cleanliness; hence "hygenic"). The two afflicted hives went from a 3-day count of 21 and 38 mites, to 106 and 111, respectively! I'm hoping this means the Apiguard is doing its thing, and in another couple weeks when I pull the last packet I'l start to see ensuing reductions in count. The sugar-treated hives had slight increases in mite drops, or remained nearly unchanged. Since all were pretty low, I'm not worried. I tested the swarm hive (you can see the video swarm capture below) just for the heck of it, and as I figured would be the case, there were zero mites. Swarming is a great mite control method for bees, as it interrupts the brood cycle--- the bees have to rebuild and start fresh, so there's nothing for the mites to live on for awhile. By the way, for my sticky boards I just use white, glossy poster board (also know as foam board, or foam core) and spray it with Pam. I punch a hole in one end and affix a string, so I can easily pull it out from under the hive.